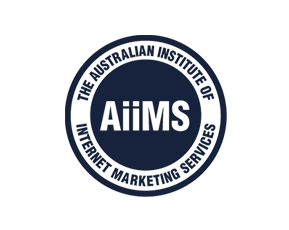 If you’re an Australian SEO struggling to build rankings for small clients, you’ll welcome an announcement made by Matt Cutts at the recent Search Marketing Expo. The gist was that an upcoming Panda update is meant to make life easier for small businesses. Cutts said the next generation update that he referred to as a “kinder, gentler Panda” update, consisted of an algorithm change that would make it easier for smaller sites to rank. Web pundits speculate that the move results from a survey Google carried out at the end of last year. Google invited participants to mention sites they felt should be ranking better in the SERPs. 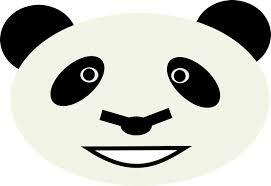 It’s felt that Google realised how hard their recent Panda algorithm changes hit smaller operations and was now looking for ways to redress the balance. In characteristic Delphic style, Cutts was vague about both the exact nature of the changes and the timing. But for those of us SEOs who focus on getting rankings for mainly small and medium sized clients, any news is good news. Panda updates are part of an on-going process. In fact, Google rolled out a ‘soft’ update last July. However, only 18% recovered fully as a result of that update. A simple web search will reveal how poorly smaller sites rank in the SERPs nowadays. This is especially so when it comes to product related searches such as for “LCD TV”. You’ll typically find the top 10 results consist completely or mainly of shopping giants such as amazon, bestbuy, overstock along with big brands such as LG and Samsung, authoritative review sites such as Cnet, and of course, the ubiquitous Wikipedia. Often these behemoths dominate the top 10 with multiple stacked listings. It’s like the way giant supermarkets have crowded the speciality shops right off the High Street. If this were for buyer keyphrases such as “best deals on led tvs” amazon et al would be a good match. But for searchers doing general queries about led tvs, being taken immediately to a vendor seems presumptuous. 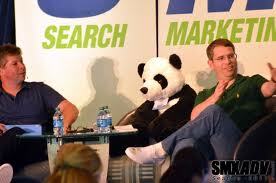 It’s understandable why Google felt the need for the sweeping changes of Panda. Just a few years back, a search for “led tv” would bring up a spate of thin EMDs such as ledtv.info, topledtv.com and so on. Most had a page of cloned content and an affiliate link. No one misses these ‘micro niche’ sites However, hopefully the newly announced update will help give weight to expertise, specialisation and knowledge that many small operations have. Only time will tell if Google is really committed to this policy and whether the little guy has a chance anymore. For many, it will be too little and too late.